The novel is narrated by the main character or protagonist: a young man called Mearsault who gives the reader a unique perspective as the events in the novel unfold. Set in Algiers at some point before World War Two, the novel revolves around two main events – the death of Mearsault’s mother and the apparently unpremeditated killing of an Arab for which he is arrested and brought to trial. The narrative is divided into two parts. Part One begins with the death of the protagonist’s mother and the subsequent funeral as well as a detailed description of Mearsault’s behavior and reaction to these events. The reader is also introduced to a host of minor characters who in some way or another are playing a role however insignificant in Mearsault’s life and who will also play a role in bringing about his death. One of the people who Mearsault befriends is Raymond, a rather shady character who beats up his girlfriend among other things and asks for Mearsault’s help in writing a letter, an action which will later come back to haunt him. Raymond is concerned that a group of young Arab men may have a grudge against him ( they probably do) which leads to an incident on the beach. Well , more than an incident as it results in Mearseault firing his gun, killing the Arab and being arrested. Part Two of the novel revolves around Mearsault’s adaptation to life in prison after his arrest, the trial scene in which he is condemned due to his non-conformist ( to say the least!) behavior in Part One. The novel ends after Mearsault is sentenced to death, to be decapitated and he prepares for the inevitability of death even going so far as to wish that the spectators at his execution would show their hatred towards him. At the beginning of the novel in the first chapter Mearsault, as next of kin, goes to attend the funeral of his mother in the small town of Marengo fifty miles away from his home. Throughout this episode Camus focuses on the heat and the intense light both on the journey and at the funeral itself. All of these sensory elements seem to irritate Mearsault intensely. At the wake, in the room where his mother’s body is laid out, little evidence of grief is evident to the reader. Rather Mearsault seems more affected by the discomfort he feels due to his surroundings. This discomfort becomes even more evident at the funeral itself as he walks behind the hearse carrying his mother. 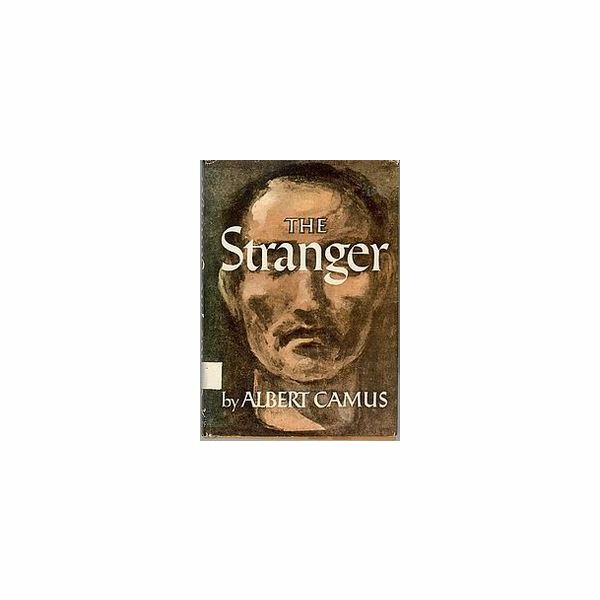 This focus on the self involved attitude of the main character appearing to be more upset by his own physical discomfort rather than grieving for his mother, rarely creates sympathy in the reader for Mearsault. This first episode firmly establishes that there is indeed something very different about this character. Yet at the same time readers (especially teenagers) are drawn to this detached and indifferent character who appears unaware of the expectations of the society around him. A significant setting in the novel is the beach.. The reader is first introduced to the setting of the beach in Chapter 4 when he goes with Marie to a beach outside Algiers. Although this is a different beach from the beach in chapter 6, Camus here shows our protagonist as always focusing on sensual physical pleasures or physical discomforts. Camus here defines Mearsault as a man indifferent, it seems, to whether something is right wrong or even appropriate, but instead acutely aware of how his physical environment is affecting him as seen in the following example. One of the most important scenes in the novel takes place on the beach – the murder of the Arab. This contrast with the previous scene on the beach. Camus uses the imagery of the heat and the light to heighten the tension in this scene in Chapter 6 and to show how the discomfort Mearsault feels because of these elements is the driving force which leads him to pull the trigger. No longer is the sun and heat warm and pleasant but rather intensely hot and bright as seen in the following examples. Camus continually makes reference to the heat and light until finally Mearsault feels driven, due to his physical discomfort, to confront the Arab. Unable to stand the sun any longer and finding the heat unbearable, he pulls the trigger. Ironically, to the reader Mearsault’s apparent motive is to escape from the sun and the heat, not self defense, aggression or anything else. This decision will come back to haunt him in Part Two of the novel when he is interrogated by the magistrate in the courtroom scene and is unable to give a reason as to why he shot the Arab not once but three times.